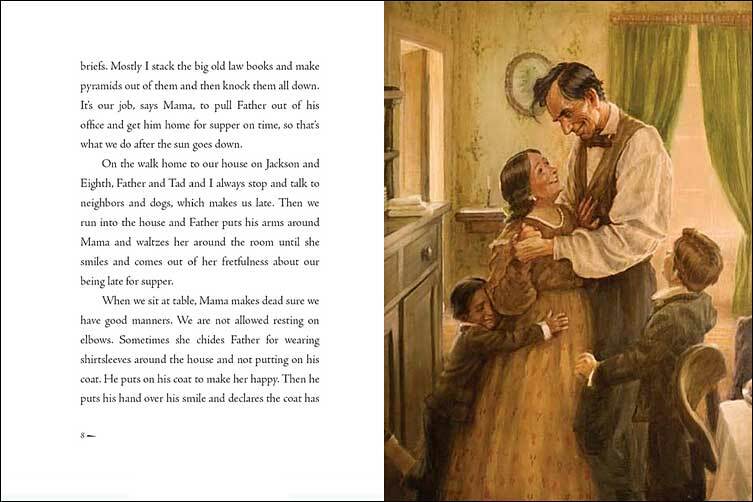 Lincoln and His Boys is a chapter book, with the addition of beautiful, Norman Rockwell-style illustrations. For some reason, when we first learned about the book online, we imagined it to be an over-sized picture book. Then we got our hands on the actual book.... what? It's small. It's a chapter book. Interesting. But, while it wasn't what we expected, it is a great pick for kids in grades 3-7. 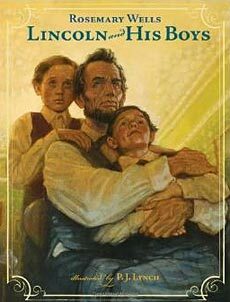 The story is told from the point of views of Lincoln's rambunctious two boys, Willie and Tad. 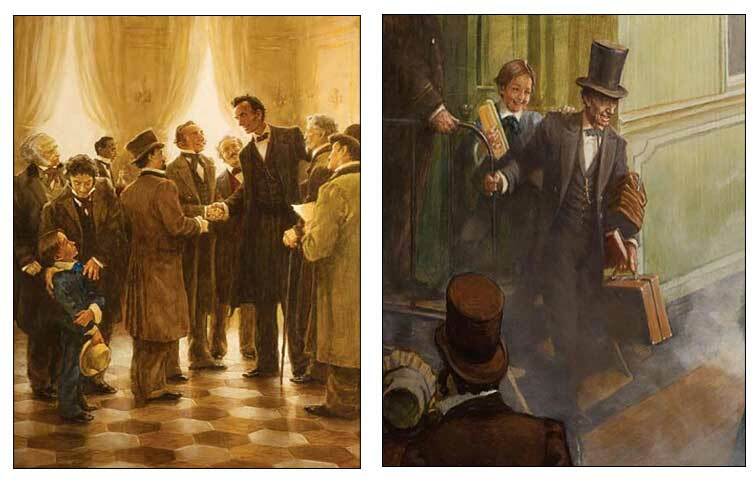 Through their observations, readers learn about Lincoln, about the politics of the time, and about daily life and family life in the mid 19th century. We love the decision to tell the story from the vantage point of the children involved, as that surely will make this book easier for children to relate to and help make this era in American history come to life! Publisher's Weekly gave this book a starred review, saying that "rarely does a biography so robustly engage the audience's emotions. " Below are samples of the illustration pages. Again, this is a chapter book, but there are full page, full color illustrations interspersed throughout (perhaps every 4-5 pages.) The illustrations are each so spectacular that we found ourselves disappointed that this isn't an over-sized book so that we could see them larger. 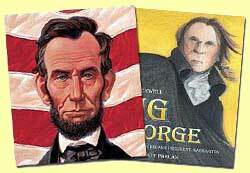 Regardless...these fantastic Rockwell-style illustrations are sure to add so much a child's enjoyment of this book! And below are a few additional samples of the illustrated pages. Again, this is a chapter book with illustrations interspersed -- not a picture book -- but we wanted to provide a few additional examples of the illustration because they are just so beautiful! In fact, School Library Journal agreed in their review, saying " Lynch captures the people and the warmth of their interactions in carefully researched oil paintings that reflect his mastery with light, perspective, and portraiture." Yes!